How to integrate Slack with ASOdesk? ASOdesk team has prepared and tested a free Slackbot for the ASOdesk platform. This is a convenient way to cover all 3 points for your app and save yourself time! From the pop up window when an app is added. 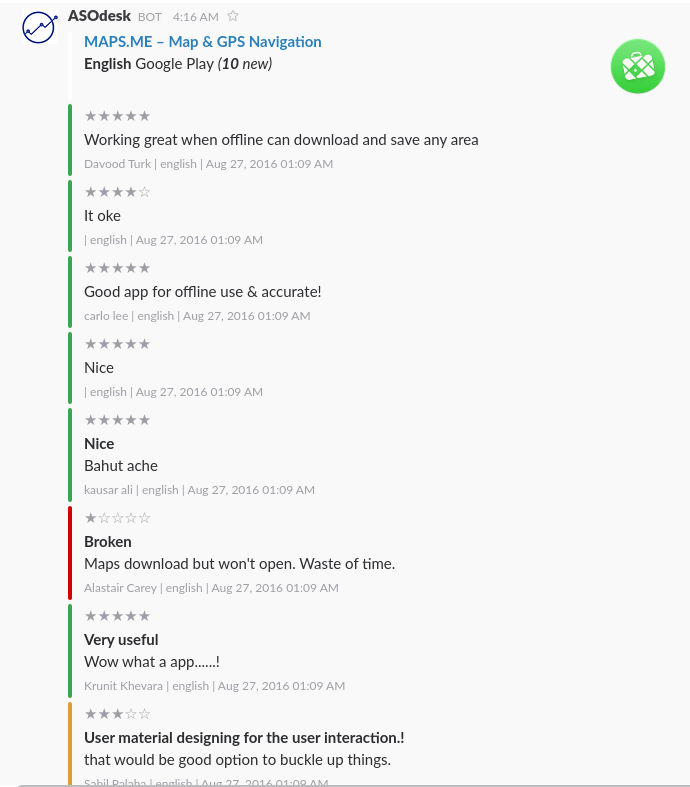 Here you will get a pop up window that offers to add Slack reviews integration. 2. From the Dashboard. 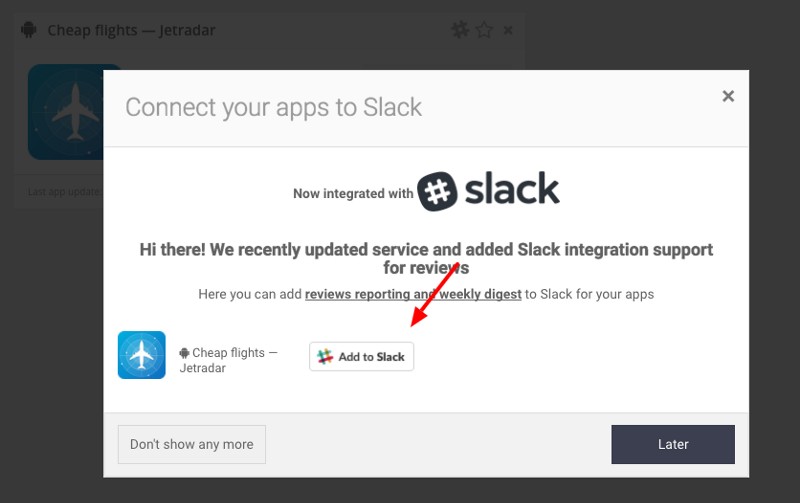 Above all added apps, you will see “Add to Slack” button. 3. From the Reviews Module. Choose the app, go to the Reviews Module and click “Add to Slack” button. How the reviews will look like in Slack?